This is how you block text messages right now. This is the guide you should read if you want to make sure that you never get those annoying texts on your Android and iPhone devices. We’ll start off with the fact that just because you want to block someone does not mean that you are a negative person. Sometimes, because of one reason or another, you are left with little other choice than to block people who make too much fuss in your life. Maybe you just do not want one of your contacts to send you texts anymore for any reason. After all, it is your cell phone and you have every right to decide who gets to send you messages and who does not. 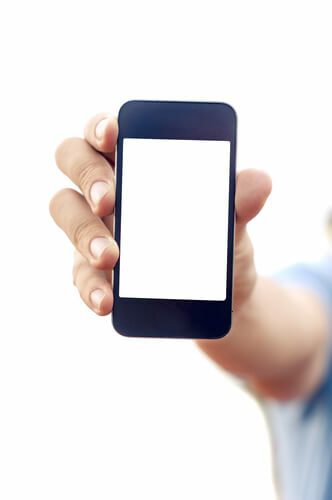 Now, the thing about blocking people from sending your texts on your Android or iPhone device is that it is not really a simple or straightforward process. We say that because the actual act of blocking any and all incoming texts pretty much depends on the specific carrier and phone that you have. So what should one do in such a scenario? Well, since we want to make things as easy as possible for our users, what we have done is that we have put up this guide which will outline how to effectively block incoming text messages on a set of major cell service carriers and phones in the United States of America. Android devices from manufacturers such as HTC, Samsung, Google and many more. Various specific carriers including the likes of Verizon, T-Mobile, Sprint and AT&T. Step by step guide on how to block text messages on your iPhone device. 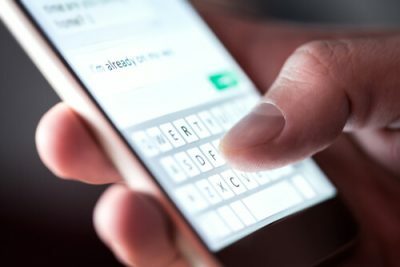 What you need to know here is that in total there are around four methods of blocking text messages on your iPhone device. You can make use of any of the methods that we have mentioned in this guide in order to block messages, phone calls, and FaceTime requests from any given contact or person. Of course, things here are a lot different from the Android platform since you are most likely making use of iMessages in order to get your messaging done right. Method 1: How to block messages on your iPhone device. First, you should open iMessages. Then you should tap on any given message that you want to get rid of or block. After that, you need to choose the icon that comes in the shape of an ‘i’ in the top right corner of the current screen. One other thing that all readers need to note here is that the process we are describing here applies to iPhone X and iPhone 8 devices which are making of version 10.3.3 and later. If you happen to own an older iPhone device that is making use of a much older build then you might see the ‘i’ icon as some text like Details. Regardless, it will still appear in the top right corner of the screen. When you have made your way to the Details screen, you need to perform a tap on the arrow that appears towards the right-hand side of a shown contact. Now you need to tap the option that says Block this Caller. After that, you should tap the option that says Block Contact which appears in the confirmation screen. This screen should pop up pretty quickly. Method 2: How to block messages on your iPhone device. Another method to go about blocking messages on your iPhone (especially for a certain caller that has never sent you a text message) involves you tapping the person’s number and then moving ahead by following from step 3 to step 6 mentioned in method 1. You also have the option of blocking messages from certain people by visiting just your contacts list. All you have to do is to open up your contacts list and then tap the specific contact that you want to block and then again follow from step 3 to step 6 in method 1. One other way in which you can block messages on an iPhone device is mentioned in method 4 section described below. Method 4: How to block messages on your iPhone device. First, you need to go to the Settings menu. After that, you need to scroll down a little bit and then select the option that says Messages. Then there is an optional step of tapping the slider that appears right next to the toption Filter Unknown Senders in order to turn off all notifications from a given person which is not present in your contact list. Now, the thing you need to understand here is that you will continue to receive messages from the unknown caller that you have blocked but all of the messages would go to a new tab which will go by the name of Unknown Senders. You will never get any notifications for those messages though. The other step you can take instead of the one we have mentioned above, is to simply select Blocked. And then continue to tap the option Add New. After that, you should type up the exact number or even the email address that you want to block and then continue to tap OK.
Now is the type to tap the Block Contact option which appears in the information screen. The confirmation screen should pop up almost instantly after you finish this step. How to block text messages on Android. Again, we would like to remind our readers that the task the blocking any and all text messages on an Android device varies. It actually depends on the app that the user is making use of. Additionally, we also have the problem of mobile carriers forcing users to make use of their own proprietary applications on their own networks. Hence, there is no doubt about the fact that your particular process is definitely going to depend on what type of phone you are using and what type of carrier app you have currently activated. Now let’s start with the case of Google phones. Google phones, as most of us already know make use of a different app for texting when compared to various other Android device models. Once we deal with Google phones, we’ll mention the instructions that you would need in the case of achieving the same result on phone manufacturers. As it turns out, Google phones such as Nexus and Pixel make use of Android Messages as the official and default application for text. Of course, all Android users have the option of installing the official Android Messages app from the Google Play Store platform. Now, you have to keep in mind that the app will work with other models running Android as well. In fact, if you do not like the idea of making use of an app then you can make use of Android messages via the web. Of course, the best way to experience the web version is via the desktop PC. The other thing we want to let you know is that there are a total of two methods following which you can actually block texts via Android Messages. Our research shows that both methods usually work for blocking both calls and texts. Then you need to tap as well as hold the conversation which is present in your Android Messages from the person or contact that you want to block or blacklist. Once you have selected the conversation, you should see the app place a small check mark slightly left of the currently selected conversation. Once you are finished with the previous step you need to perform a tap on the circle that has a line running through it. It is usually located in the top right corner of the current screen. After that, you need to tap the option that says Block. You also have the option of forwarding the spam contact’s last 10 text messages directly to Google if you want to report such messages as spam. The next method will work for those users who are making use of either Google HANGOUTS or Google Voice as their official and default text messaging application. What you have to do is that you have to first open up a message and then within that message, you have to look at the top right corner of the shown screen and then tap the symbol that comes in the shape of three dots. Then you need to choose the option that says People & Options. Then you need to tap the Block option again. 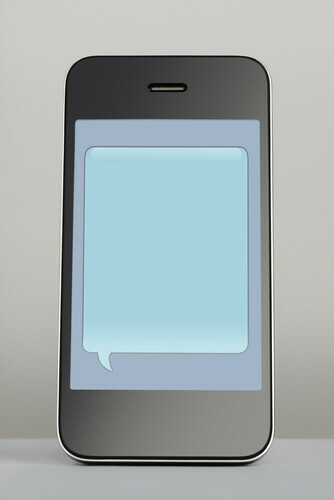 As mentioned before, different Android devices make use of different text messaging applications. And our research shows that if you take out Google then the vast majority of Android smartphones in the market today make use of the Messages app as their default and official app. Now, if by chance you still have not downloaded the official Android Message application from the Google Play Store platform and also have not set it as the device’s default text messaging application then you have to make use of the two methods that we have mentioned below in order to block a contact. First, you need to open up the text message conversation with your contact that you wish to blacklist or block. The next step is for you to tap on the icon that comes in the shape of three dots near the top right corner of your device’s screen. After that, you need to choose the option that says Block number. When that is done, you need to tap the option that says OK. Here, you also have the option of selecting the present radio button and change it to Delete conversation if you feel that you didn’t really need to save the conversation for future use. The reason we mention that is you may need the messages in the future to prove to law enforcement agencies or the courts that someone is indeed harassing you in certain conditions. Then tap those little three vertical dots that appear in the top right corner of the screen. When that’s done, you need to choose the option that says Settings. And with that out of the way you need to choose the option that says Block numbers and messages. After that, you should choose the option that says Block numbers. In this next step, we want you to input the exact number that you want to block. Type it in the shown text bar. You also have the option of selecting Inbox in order to block conversations from your existing Messages inbox. On the other hand, you can do the same by selecting Contacts in order to block any person from your current contacts book. The last step is for you to tap on the option that is in the shape of a green-colored plus sign in order to add the problematic number that you so dearly want to add to your block list. This section is for users who have tried all of the options that we have mentioned above but have not found any kind of success. First, we want to let you know that it is not your fault. The problem is with mobile carriers. More specifically, those mobile carriers who tend to override the official and default system settings on Android and iOS. These carriers basically replace them with their own apps in order to block calls and texts. Here are the steps that you need to take in order to block contacts in various US specific carriers. Now, you need to know that there are a total of two methods that can help you block all the unwanted messages on phones using AT&T as their carrier. For this method to work you will first have to tap and then hold the specific message that you wish to send to the SPAM folder. Then you need to select the option that says Report as Spam. And then you select the option OK.
After that, you should receive a short response which will ask you to input the phone number of the sender of the text message. So just enter it and then send. You can simply choose to Forward to, in turn, forward the unwanted messages to 7726 or SPAM. Once you do that you should receive a short response again which will again ask you the phone number of the sender of the message. Just enter the phone number and send. Method 2: Make use of the official call protect application. The official AT&T Call Protect application to automatically filter all known numbers marked as spam. You also have the option of manually adding a number to the already present block list. To go there, here is what you need to do. First, open up the app called AT&T Call Protect. Then you need to choose the option that says Block tab. And then you need to perform a tap on the button that comes in the shape of a plus sign and is blue in color located near the bottom right corner of the shown screen. With that out of the way, you need to choose the option Enter a number. In an alternative step, you also have the option of choosing to select a number either from your contacts list or call log. The last step is to enter a user’s phone number that you want to block and then tap Block. There are currently two methods that our research shows work pretty well when it comes to blocking texts on the mobile carrier by the name of Sprint. These text or contact blocks pretty much stay in effect for a total of 90 odd days. After that, you will have no choice but to renew your blocks. The first step here is for you to go to the official website of Sprint and then sign in with your account. The website is www.sprint.com. Now you need to do some navigation and go to My Preferences. After that, you need to select the option that says Limits and Permissions. And then you need to tap on the option that says Block texts. That is it. After you have finished the previous step you need to click on the device or the phone that you wish to block the phone number for. Then you should select the option Block all text messages outbound and inbound. After that we want you to type the exact domain address or shortcode or email address or phone number. When that is done, you need to click the button that says Save. Then reset your Android or iOS device. This is a short method that we know you will like for it will save you a good bit of time. First, you need to initiate a new text conversation to the number 9999. Then you should tap on Send. After that Sprint should send you a confirmation that you have successfully blocked a number for texts. How to block text messages if you are on T-mobile? T-Mobile makes use of the iOS/Android text message blocking settings that we have described in the previous sections for you. So all you really need to do is to make use of the steps for the iOS or Android platform that we have mentioned before. 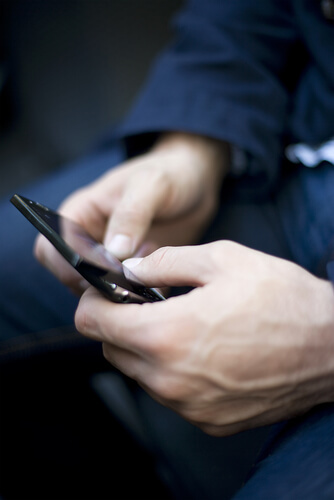 In order to block texts on Verizon, you need to make use of Block Calls & Messages. All blocks are valid for 90 days. Then you have to renew them. Open the app by the name of My Verizon. Then tap the official Menu button located near the top left space on your device’s screen. After that, you should tap the Devices option. And then you should go ahead to select the device that you wish to blacklist or block the texts for. Then tap on manage. When that is done you should choose the tab that says Controls. And then you should tap on the option that goes something like ‘Call and Message Blocking’. When that is done, you should tap the option Add Number. And as a final step, you should enter the specific phone number that you want to block. After inputting that number you should tap the option that says Block Number. Now you know how to block stuff on most devices running Android and iOS.